The West Indies opened their ICC World Cup qualifying campaign on a winning note as Chris Gayle produced a whirlwind century to help the Windies beat UEA by 60 runs. Gayle joined Hashim Amla and Sachin Tendulkar as only the third batsman in the history of ODI cricket to score centuries against 11 different countries, as the West Indies defeated the UAE by 60 runs in their opening group A fixture of the ICC Cricket World Cup Qualifier 2018. 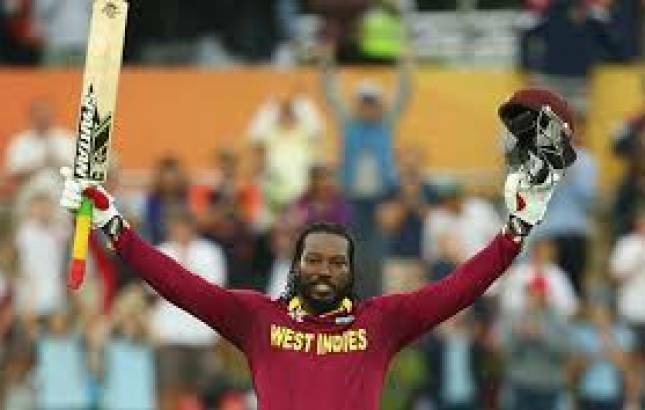 Gayle smashed 11 sixes and seven fours in an electrifying 91-ball 123 and young Shimron Hetymer belted 14 fours and four sixes in a whirlwind 93-ball 127 as the two-time world champions posted 357 for four after electing to bat first. The UAE, in their turn at the wicket, offered a stiff resistance before going down by 60 runs after finishing at 297 for six. Rameez Shahzad, the 30-year-old right-handed batsman, showed a lot of courage and grit while scoring an attractive unbeaten 112. It was his second century in 13th ODI, which came off 107 balls and was laced with nine fours and four sixes. He was well supported by Shaiman Anwar (64) and Adnan Mufti (45). West Indies captain Jason Holder capped a good day for his side after returning figures of 10-1-53-5. Kemar Roach claimed the wicket of opener Chirag Suri, which gave him his 100th wicket in ODIs. However, the star of the match was the 38-year-old Gayle, who was in sparkling form and made the ball disappear to all parts of the park at his leisure on a bright and sunny morning in front of 250-odd spectators. He reached his half-century from 47 balls with five fours and three sixes, while his next 50 runs came from 32 balls with two fours and five sixes. When Gayle pushed UAE captain Rohan Mustafa for a single to mid-off for his 23rd career century, he added the UAE to his list of countries against whom he has reached three figures. The other 10 countries to get Gayle's wrath are Bangladesh, Canada, England, India, Kenya, New Zealand, Pakistan, South Africa, Sri Lanka and Zimbabwe. South Africa's Amla has scored his 26 centuries against Australia, Bangladesh, England, India, Ireland, the Netherlands, New Zealand, Pakistan, Sri Lanka, the Windies and Zimbabwe in a 164-ODI career, while Tendulkar's 49 ODI centuries were against Australia, Bangladesh, England, Kenya, Namibia, New Zealand, Pakistan, South Africa, Sri Lanka, the Windies and Zimbabwe. Australia's Ricky Ponting?s 29 centuries were against 10 countries, while his 30th was against the Asia XI in January 2005. After Gayle departed at the score of 191 in the 29th over, Hetymer continued the good work when he took the UAE bowlers to the cleaners with some precise stroke-play and excellent shot selection as the Windies collected 166 runs in the last 21 overs. Hetmyer, who captained the Windies to the U19 World Cup title in Bangladesh in 2016, reached his century from 78 balls with 10 fours and four sixes. He was eventually caught at the wicket off fast bowler Amir Hayat, who finished as the most expensive UAE bowler by conceding 80 runs off his 10 overs.